When you think of an Olympic champion, you think of someone in their prime who has probably worked for a decade or two to get to the top of their sport. They need to have developed muscles and the mature mental fortitude to deal with the intense pressure of the Olympic Games. You don't think of literal children going out there and being the best in the world. But shockingly, it's happened. A lot. Somehow, there have been over a dozen kids 14 years old and under who managed to leave their older, more experienced competitors in the dust. They've competed in sports as varied as gymnastics (where you might expect some younger competitors), to swimming, diving, rowing, and even speed skating. It must be weird when your life peaks before high school and you're walking around with an Olympic gold medal before you even know algebra, but these kids all managed to pull it off and become the youngest Olympic gold medalists. The identity of the youngest person ever to win a gold medal in the Olympics, in fact, the youngest person to compete period, is a complete mystery. It's all because in 1900, the rules were a lot more relaxed than they are now. 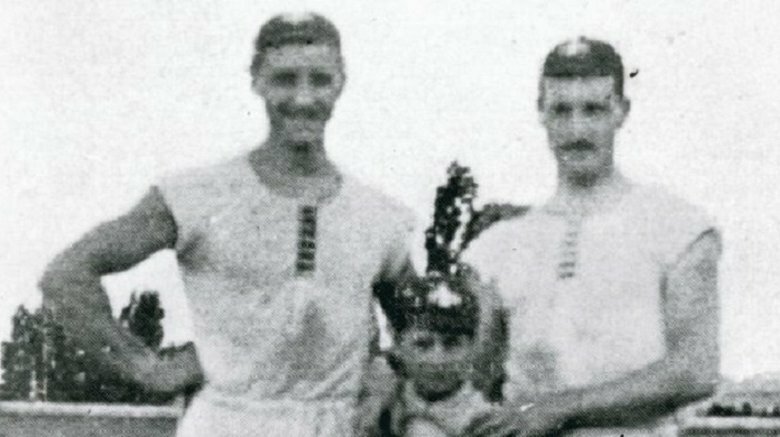 The International Society of Olympic Historians says that year in the coxed pairs rowing event (two people rowing, with a third person in the boat telling them what to do), the Dutch team was expected to dominate. But during qualifying, they were beaten by 8.6 seconds by a French pair. The problem was obvious. The Frenchmen had a child as their coxswain, while the Dutch team used a fully grown man. The weight difference was significant, and it made them much slower. Before the final, the Dutch guys ditched their teammate and grabbed a kid from the crowd. The child was so light they had to add a weight to his side of the boat so it went deep enough in the water. The change worked. The Dutch team won the gold medal, and since he was technically a member of the team, the kid won, too. He stuck around long enough for a photograph and then disappeared in the crowd, and now his name and age have disappeared from history. Estimates are he was between 7 and 10 years old, which, if accurate, would make him the youngest Olympic champion by far. Jesse Owens was the big name to come out of the 1936 Summer Olympics in Berlin, but there were other exceptional Americans competing that year as well. 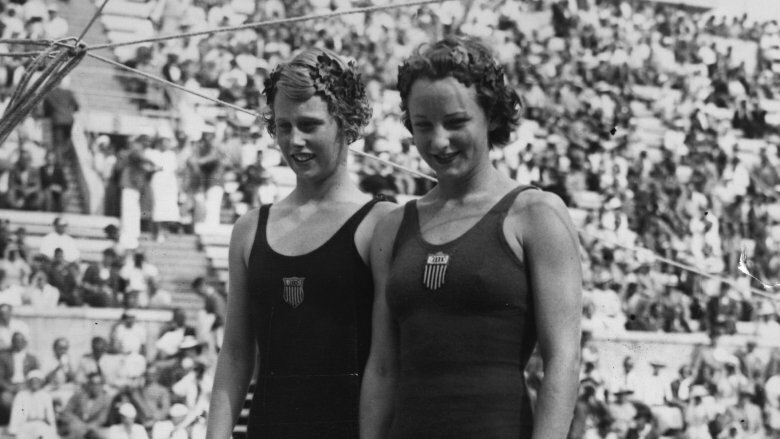 Like the extremely young diving champion Marjorie Gestring (left). The BBC says she was just 13 years and 268 days old when she became the youngest ever individual Olympic gold medalist by winning the 3-meter springboard diving event. Despite being so young, she was "a specialist in the art of mixing pikes, twists, and somersaults." But Hitler's Olympics would be her last, thanks to, well, Hitler. The onset of World War II meant both the 1940 and 1944 Games were canceled. Had they been held, it's expected Gesting would have dominated them as well. According to Sports Reference, she won eight championship titles between 1936 and 1940 so she was still the undisputed best in her discipline at the time. A 1984 article in the Lakeland Ledger reports that in lieu of official Olympic medals, the United States Olympic Committee handed out their own medals in 1940, giving Gestring the gold. In 1948, she was still only 25 years old and tried to achieve an Olympic comeback. But at the trials, she finished fourth, one spot from making the American team. After that she retired from diving. Every other entry on this list is from the Summer Games. Something about the winter disciplines makes it harder to be exceptional as a child. But that just makes the South Korean women's short track speed skating team at Lillehammer in 1994 all the more incredible. Kim Yun-Mi was only 13 when she won a gold as part of the 3000-meter relay team. It also included Won Hye-Gyeong (pictured right at the 1998 Games), who at 14 years old makes the cutoff for this list along with Kim. However, the rest of the team was rounded out by the frankly ancient Kim So-Hui and Jeon I-Gyeong, who at 17 and 18, respectively, were basically geriatric. Despite their tender ages, the team not only had the physical ability but the mental quickness to win. According to the official Olympic site, the South Koreans were up against powerhouses Canada, China, and the USA in the final. At the halfway point, Canada was leading in world record time, with China not far behind. But the Korean team waited patiently and eventually got out in front to hold on for the gold. 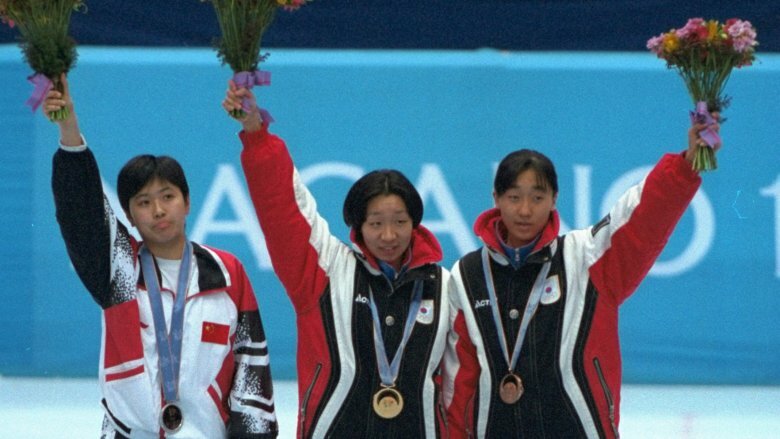 At the 1998 Games in Nagano, Kim would win another gold in the same event, while still only 17 years old. Due to injury, it would be her last Olympics, although she went on to become a coach for children, including Paralympic hopefuls. Chinese diver Fu Mingxia may have been a diving prodigy, but it came at a high cost. According to the Encyclopedia of World Biography, Fu was born into a working-class family and her parents enrolled her in gymnastics when she was 5. It quickly became clear she had "natural athletic grace," but the coaches decided she wasn't flexible enough to make it as a gymnast. So at 7 years old, she switched to diving, even though she couldn't swim yet. In China, the government takes children away from their families to train them to be champions. Despite being a child, Fu only got to see her parents twice a year. Her life was devoted to training, spending four to nine hours in the pool, seven days a week. By age 12, Fu was winning international competitions. She got so used to being on top of the podium that one third place finish pushed her to make her routine even more complicated. By the time she got to the 1992 Games in Barcelona, she was unstoppable. Fu easily beat out her much older competitors in the 3-meter springboard diving event and just edged out Marjorie Gestring as the youngest official Olympic champion. It's a record she'll hold forever, since her participation resulted in a rule being put in place that you have to be 14 to compete in the Olympics. Fu would go on to win three golds and silver in the 1996 and 2000 Games. The 1960 Olympics was notable for being one of the few times the International Olympic Committee waded into politics. According to NPR, at the Melbourne Summer Olympics in 1956, the East and West German teams competed separately, as different countries, since they were separate countries at the time. But for some reason, the IOC put its foot down and said that at the 1960 Rome Games, the Germans would have to train together, live together, and compete together as one unified nation, or they couldn't come at all. Amazingly, it happened. 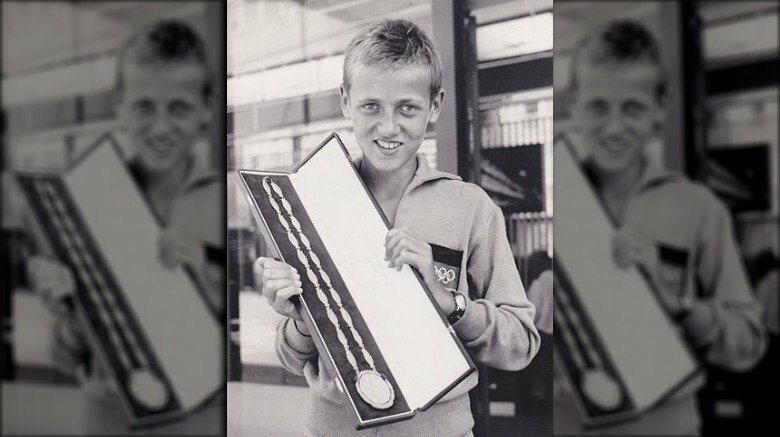 The 13-year-old Klaus Zerta was a part of this politically misaligned team, going home with a gold medal for his work in the coxed pairs (although Zerta and both his teammates were all from West Germany). Sports Reference says Zerta went on to become a tennis coach and a construction manager. The role of coxswain was definitely the way to go (before age restrictions) if you wanted to win a gold as a child. Aside from Zerta and the anonymous French boy from 1900, other notably young coxes include the Swiss 13-year-old Hans Bourquin in 1928, 14-year-old Bernard Malivoire of France in 1952, and West German 14-year-old Gunther Tiersch in 1968. All of them came out on top as part of coxed pairs teams, except Tierch, who totally switched it up by joining a coxed eight squad. Poor Kyoko Iwasaki wasn't the youngest gold medal winner at the 1992 Barcelona Olympics. She wasn't even the youngest winner on the day she got the gold, since the previously mentioned 13-year-old Fu Mingxia dove to victory at almost exactly the same time Iwasaki was in the pool for the 200-meter breaststroke, according to the New York Times. But Iwasaki still did incredible. Swim News says her coach was just proud she made it to the finals. She'd done well in her heats, breaking the Japanese record in the process, and afterward she took a nap and then ate a bunch of rice. Secretly, Iwasaki thought she might be able to get a medal. But she was much smaller and lighter than her competitors, only trained two hours a day, and she had a weird technique she did with her feet when kicking. At the 50-meter point of the race, Iwasaki was in sixth place. It wasn't until the last few strokes that she finally surged into the lead and won. Iwasaki would later describe it as "the happiest moment of her life." Other people weren't so thrilled about it. After the Olympics, Iwasaki started to receive hate mail and prank phone calls. She felt "victimized," and it took her two years until she enjoyed swimming again. 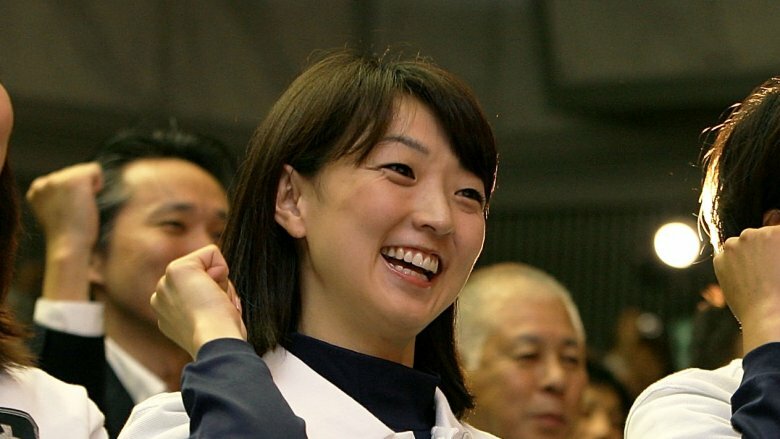 She'd return to the 1996 Games but failed to make any finals before retiring in 1998. The Romanian gymnast Nadia Comaneci was as close to perfect at a sport as anyone ever has been. Encyclopedia Britannica says she was discovered by coach Bela Karolyi at the age of 6. For years she dominated junior competitions, and when she burst onto the scene at the 1976 Montreal Olympics as a 14-year-old, she blew everyone's mind. According to the official Olympics site, Comaneci was the first gymnast in Olympic history to receive a perfect 10, for her performance on the uneven bars. She then went on to get six more perfect tens the same Games, resulting in three gold medals. Four years later, Comaneci took home more gongs, ending up with nine Olympic medals in total. But she was plagued by injuries and never recreated the spectacular beginning to her career, which is pretty understandable. The gymnast retired in 1984, but because she was from Romania, an Eastern Bloc country, her life was strictly controlled. She was prevented from traveling abroad until she managed to defect to the U.S. in 1989. Comaneci was succeeded in the Olympics by fellow Romanian and 14-year-old Simona Pauca. While she was only a part of the international gymnastic scene for a year, Pauca competed at the 1984 Games in Los Angeles and also scored a perfect 10 on beam. She would end up with two golds. The Japanese dominated international swimming in the 1930s, and it all started with Kuoso Kitamura at the 1932 Los Angeles Games. According to Encyclopedia Britannica, Japan sent a swim team made up almost completely of teenagers, and Kitamura was only 14 himself. They ended up winning five of the six men's events. Kitamura competed in the 1500-meter freestyle, the longest swimming event in the Games. Sports Reference says the crowds were "large and enthusiastic," while "the clear quality of the water was considered a vast improvement on previous years." 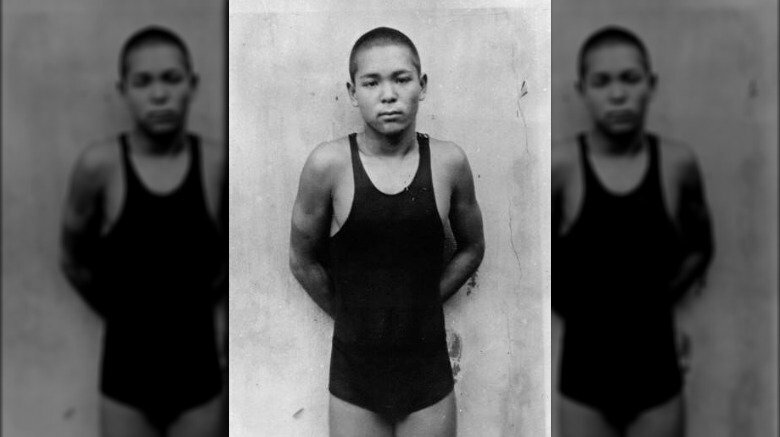 When Kitamura took home the gold in the exhausting race, the International Swimming Hall of Fame records it began a trend of younger and younger swimming champions. So many of them were Japanese that it "shook the western aquatic world to its splash gutters." Japanese-style nutrition, intensive training, and stroke mechanics became the norm. When World War II started, Kitamura went off to fight in Burma. Since metal was in short supply, his father donated his gold medal to the government to use as scrap, but they refused to accept it. After the war, Kitamura became a civil servant in Japan. In 1965, he was one of the first 20 swimmers, and only non-American, to be inducted into the International Swimming Hall of Fame, although work commitments prevented him from attending the ceremony in Florida. 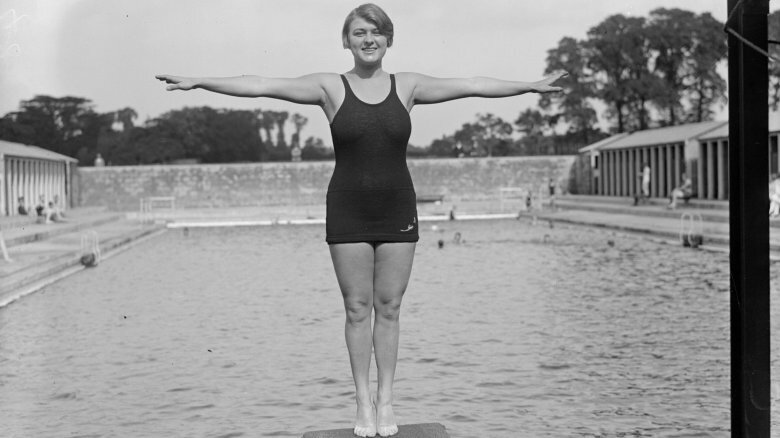 Despite being a double threat, amazing at both diving and swimming, Aileen Riggin faced ridiculous prejudice when she wanted to participate in sports. According to Encyclopedia Britannica, in the early 20th century, there were no training facilities for female divers, and they certainly weren't allowed to learn with the guys. So Riggin found herself perfecting her dives in a tide pool. At 14, Riggin qualified for the 1920 U.S. Olympic diving team along with another 14-year-old girl, Helen Wainwright. However, until the day before the boat left New York for Antwerp, it looked like they wouldn't be allowed to go because people worried that the "extreme physical exertion" of competing might make them less fertile. Even once it was decided Riggin could compete, it didn't get easier. Her obituary in the New York Times reported the Olympic rulebook arrived in French. She had to perform 12 dives instead of the normal 10, and wasn't able to start practicing some of the dives until just two months before the Games. During the actual competition, the board was a plank with no spring, and the "pool" she dove into was a muddy canal. But despite all this, Riggin came away with the gold in the 3-meter springboard. She would go on to win a gold in diving and a bronze in swimming at the 1924 Olympics as well. Riggins eventually turned professional, starred in movies, and became a sportswriter. Oh, and she had a child with no problem. Known universally as "Pokey," Lillian Watson was, according to the International Swimming Hall of Fame, a "freckle-faced prodigy." The Almanac reports that she started swimming seriously at 8, and by the time she was 11, a coach recognized she could make it to the Olympics. And she did just that in 1964, at a mere 14 years old. At the Tokyo Games, Pokey dominated in the pool with the 400-meter freestyle relay team. Four years later, she would win an individual gold in the 200-meter backstroke. Reflecting on the Olympics years later to Patch, she said the competitors' experiences today are like "apples and oranges" because in her era there wasn't the media hype (or the money). She also said she never got to sightsee while she was competing, but all the hard work was worth it and there was "a great sense of camaraderie" between the athletes. Pokey gave up swimming to go to college, although she would continue to coach for years. Despite being amazing at freestyle and backstroke, Pokey was never good at breaststroke, but she filled this gap by marrying a guy who had been an All-American in it at Yale. She gave up coaching when they started having children, but one of her daughters said it was "definitely cool and inspiring" to have an Olympian as a mom. In 1996, the U.S. women's gymnastics team was called the "Magnificent Seven." They were expected to dominate the Atlanta Olympics that year, and the face that got the most attention was 14-year-old cute-as-a-button Dominique Moceanu. According to her official website, Moceanu was the daughter of Romanian immigrants, both of whom had been athletes. They pushed their daughter into sports and by age 10 she was good enough at gymnastics to be selected for coach Bela Karolyi's gym. She began to break tons of "youngest ever" records. But behind the scenes her excellence came at a cost, with physical and emotional abuse during training being the norm. At the Olympics, she didn't get any individual medals (and infamously fell on both her vaults), but her performances were instrumental in earning the U.S. the team gold. Her father yelled at her for her falls after they won. It would be the promising gymnast's only Olympic showing. After Atlanta, her life went downhill. Karolyi unceremoniously dumped her as a student, and at 17 she sought emancipation from her parents. Years later she learned she had a secret sister, whom her parents had given up for adoption because she needed extensive medical care. When it made headlines in 2017 that U.S. gymnasts were being horrifically systematically abused, Moceanu pointed out that she'd blown the lid on it a decade earlier and no one had believed her. Despite the presence of other 14-year-old swimmers on this list, when you count their ages down to days, Krisztina Egerszegi is the youngest gold medal winner in the pool. Until Michael Phelps came along, she was the only swimmer to win five gold medals in individual events. ESPN says Egerszegi was a sickly child, and her parents encouraged her to take up swimming to build up her strength. She started learning at the age of 4 and as she grew, it became clear to her coaches that she not only had the talent, but the ideal physical form for backstroke in particular. She became obsessed, happily getting up at 4 a.m. before school to train. At the 1998 Summer Olympics in Seoul, the 14-year-old Egerszegi took home her first gold in the 200-meter backstroke. (She also got silver in the 100-meter backstroke, but that's not impressive at all, right?) 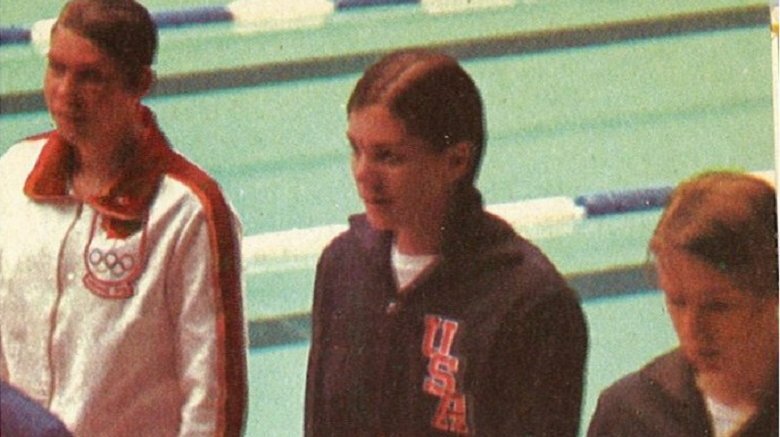 She would make appearances (and win lots more medals) in two further Olympics and goes down as "one of the greatest backstrokers in swimming history," according to Sports Reference.